Have you ever had feelings that you are not enough? That you are not worthy? That you can’t do whatever it is you want to do because x, y, z? How about feeling like your life’s on hold until you lose the right amount of weight, or have the right amount of money, or have your health in the right place? I can guarantee that at least one person reading this blog post today has had one (or more) of these thoughts. For some, this belief of not being enough comes from external influences in childhood and young adulthood. 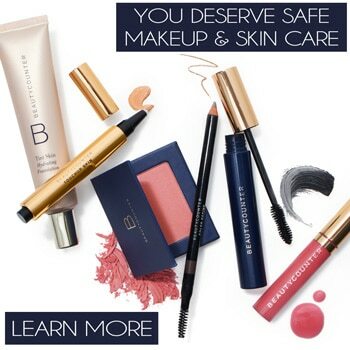 Perhaps you were abandoned or suffered some sort of abuse. Perhaps you were part of a really big family and felt like you didn’t exist because there were so many people under one roof. Perhaps your parents or caregivers set high expectations for you that you continually felt like you could not meet. Perhaps you had teachers who criticized your work and made you feel unworthy. Perhaps there were bullies in your school who constantly picked on you and made you feel like you simply were not, and could not, be good enough. For others, this core belief was self-imposed. Perhaps we held ourselves to ridiculously high standards, so high that most of the time we could never live up to them. Perhaps there was such a fear of failure that it created the belief that no matter what we did, we would likely fail, so why even bother trying? Perhaps our perfectionism around all things was so strong that when something didn’t turn out exactly how our mind envisioned it, it was a catastrophic failure of the worst kind. Those are all very real experiences and just a few of the ones I commonly see in my work as a coach. There are so many other experiences that can influence our internal belief system — far too many to list in one single blog post. I am here to tell you that you ARE enough. This belief that so many of us have that we are not worthy, that we are not enough, that our life can’t start until certain things happen is one of the most detrimental beliefs we could ever have. This belief keeps us small. It keeps us from chasing our dreams. It keeps us from creating a life that we love and in which we feel loved. It keeps us from engaging in deep and powerful relationships. It keeps us locked up tight in our own mind while our heart and soul start to go dark and gather spider webs. Recently I wrote a poem about this core belief and I would love for you to read it today. I hope that it resonates with you, and even inspires you. If it does, would you consider sharing it with others who may need a little uplifting love today? I am here today to tell you that you are enough. Right now, just like you are. You don’t need to be anything more than who you are. Is there always room for growth? But where you are in this very moment is just fine. 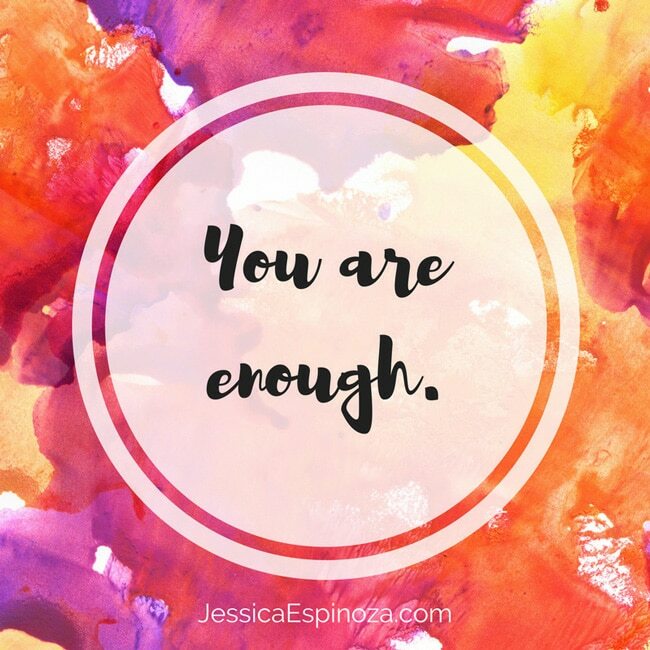 It’s enough…and you are enough. So many people walk through life feeling like they are not enough. That they are not worthy. But you are, you are, and you do. I know saying it is easier than believing it. But until you believe it, you’ll continue to feel stuck. And stuckness is no fun. It’s no way to live your own vibrant life. If you are one of the lucky few who already believes, deep in your core, that you are enough, then celebrate! And then pass this message along to someone you know who could be struggling to feel the same. P.S. 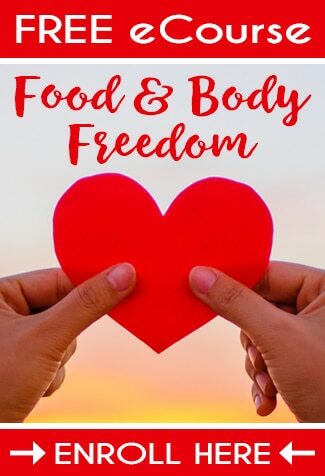 If you’ve been struggling with your relationship to food and body and are ready to find the peace and freedom you’ve truly been craving, I would love to help. 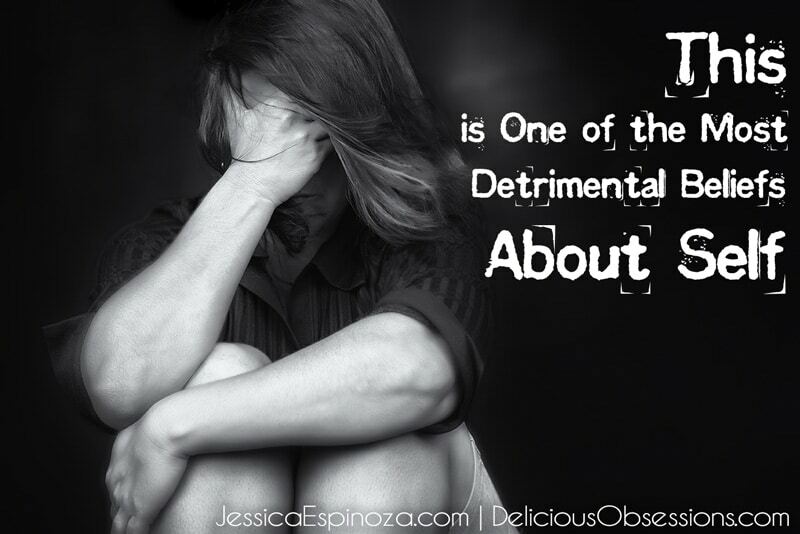 Whether you’re dealing with binge eating, overeating, yo-yo dieting, body shame/hate, or a combination of the above, know that these symptoms are holding a deeper message for you. P.S. This email reminded me of a heartfelt blog post I wrote last year, where I talked about some of my own struggles. If you’d like to read it, you can read A Matter of Life and Death here.